Sussex Homeless Support are a registered non-profit Brighton based charity. We provide support, accommodation, advice, and outreach to people suffering housing crisis in Sussex. Run by volunteers, we rely solely on donations to continue our work. Every Sunday we run a Street Kitchen at The Clocktower in Brighton where we serve meals, give out clothes and advice to over 120 homeless people. 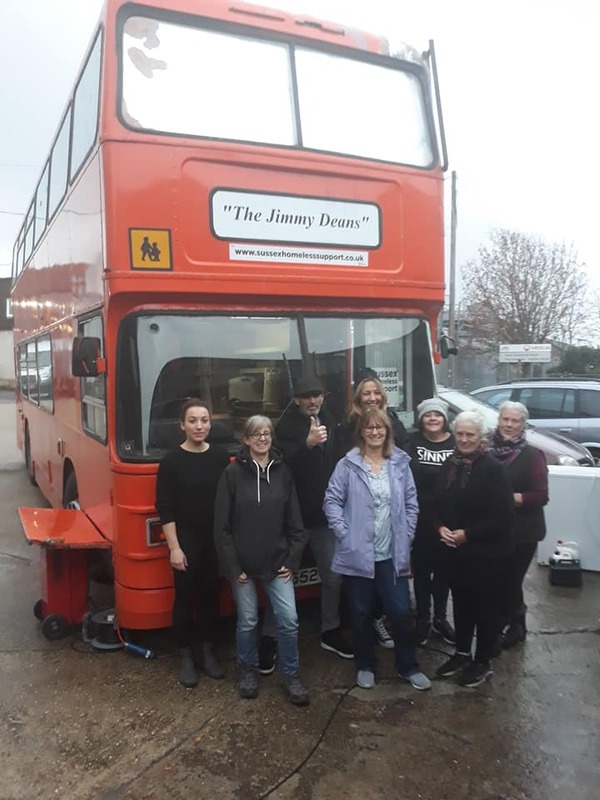 In response to the lack of shelter in Brighton, we have converted a No.3 orange double decker bus into a mobile hostel, and are currently converting a second bus into a safe shelter for homeless women. Between them our buses sleep 24 people each night throughout the winter months and are open from 8pm to 7am every night. Beds are offered on a first come first served basis but coffees and teas are for all. We also endeavour to provide hot food. Dogs are especially welcome and will be provided with a bed and some dog food. Our buses run entirely on donations and we are always appreciative of food or fuel.